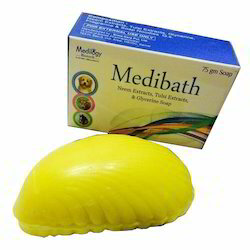 We are highly acknowledged organization engaged in presenting remarkable range of Pet Soap. For the first time Robust presents a range of soaps for your pretty little four-feet. Treated with herbal elements, Robust dog soap will render your dog's fur clean and shiny. Great for nose to tail bath , our natural " So Fresh " lather - rich soap bar makes bath time a fun activity . Leaving your pets pest free , the wash is bound to give them rejuvenated , fresh smelling fur . 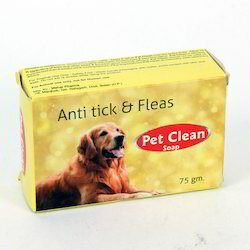 Premium quality Pet soap, pH balanced, sheen assured, makes animalsfree from ticks, lice and fleas, gives nice fragrance after lovely bathing. 1% of Permethrin added to keep your pet Tickfree forever. Regular usage of TickFree Dog Soap from Skyec makes sure that your pet dog is always healthy, hairy and skinny keeping from any bug passing into it.